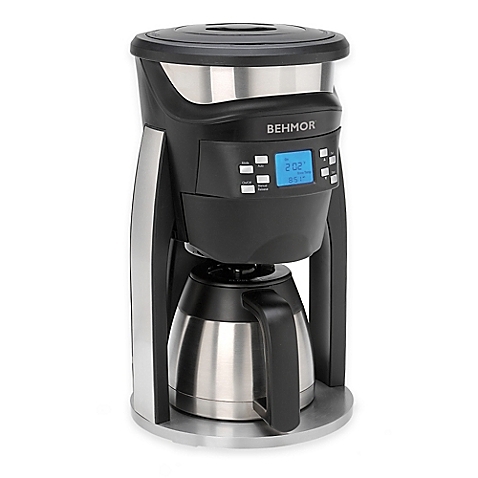 Still providing coffee precision beyond compare, the Behmor Brazen Plus features all the things we adore about the first generation (temperature control, pre-soak function, elevation calibration and an overall amazing cup of coffee), but with a few essential upgrades. Experience maximum control as you pour your precisely brewed coffee from the improved thermal carafe. Choose from a flat bottom paper filter, or take advantage of the enhanced gold-tone permanent filter. Rest assured, because you're brewing with a machine that meets the Specialty Coffee Association of America's (SCAA) standard for quality home brewing.